Two candles classic Christmas centerpiece. 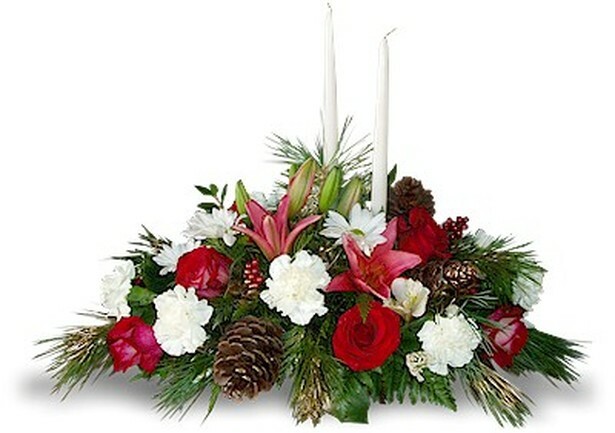 A classic holiday two candles centerpiece in traditional colors and Christmas accents. Two tall candles in the middle. Great for a coffee table, welcome table, or intimate dining room centerpiece.